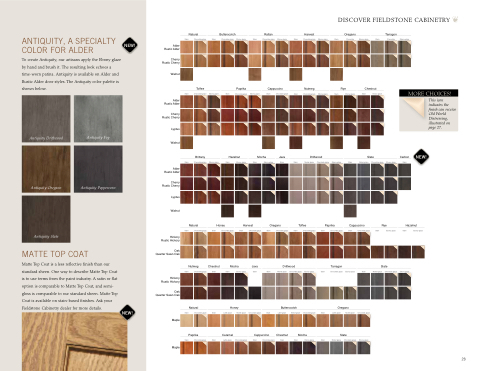 Our complete collection of stain-based cabinet colors is shown here. Oatmeal is a warm, distressed color achieved by hand-applying Champagne stain and antiquing it with Chocolate glaze. Spattering is not applied. It’s accented with worn edges, rounded corners and light chain distressing. Oatmeal is available only on Maple.